https://harmonypublicschools.network/hsielpaso-new/wp-content/uploads/sites/123/2017/10/HSI-El-Paso-white-letters-300px.png 0 0 Central Office https://harmonypublicschools.network/hsielpaso-new/wp-content/uploads/sites/123/2017/10/HSI-El-Paso-white-letters-300px.png Central Office2018-01-23 15:20:222018-01-23 15:20:22GATE (Gifted and Talented Education) Announcement! Friday January 19th from 5-7pm Tickets adults $6 children $4 Ticket will include nacho supreme, dessert and a drink. Snacks will be available for purchase. 50’s attire optional. Come and enjoy the fun!!!! K-5th grade will have Quarter 2 Awards on Friday, January 19, 2018. Awards will be held in the K-1 Building. Please see the schedule below. 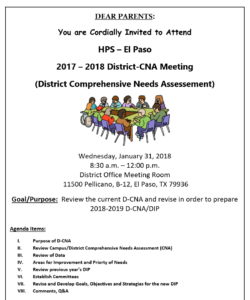 2nd/ 3rd grades- 12:30 p.m.
Harmon School of Innovation- El Paso will participate in the National Assessment of Educational Progress (NAEP) on February 1, 2018. 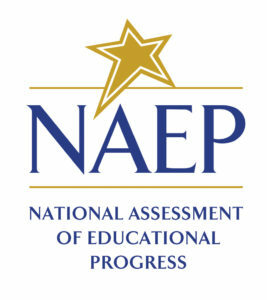 NAEP is the largest nationally representative and continuing assessment of what students know and can do in various subjects. It is administered by the National Center for Education Statistics, within the U.S. Department of Education. NAEP is different from our state assessment because it provides a common measure of student achievement across the country. The results are released as The Nation’s Report Card, which provides information about student achievement to educators, parents, policymakers, and the public. If your child is selected and you do NOT want them to test, please submit your request in writing to the front office. HSI-El Paso is arranging a University of Arizona at Tucson trip for 9 th, 10th and 11th graders. The trip will give students an early look at college life and the admissions process. The trip will also give our students the opportunity to bond as they are making their way through high school. It is one of the many opportunities that HSI offers in order to enrich educational value. Please see the permission slip for further details. I attached the permission slip and picture to use for the website announcement.